Rev. William Case (1780-1855) became involved in the War of 1812 by chance. 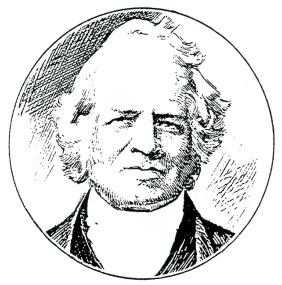 Having served in Upper Canada and New York state since 1805, he was at this time the Presiding Elder of the Oneida District of the Genesee Conference. With the help of Joseph Kincaid, the preacher on the Black River circuit, and one other, he was preparing for a camp meeting. The booming of cannons drew him to the battleground-where Lydia Hayward’s husband Joshua, was one of the soldiers defending the harbour. a) Sackets Harbor, 29 May 1813. “I was present a few hours after the battle of Sackets Harbor, where I witnessed a scene of death and carnage more moving than ever I saw before. Numbers lay cold in death. Many were groaning with their wounds and bleeding in their gore. Myself and two preachers were in Rutland, about ten miles from the Harbor, and were about to commence clearing off a camp-ground, but on hearing the cannon and constant roll of small arms we gave up the idea of work and betook ourselves to prayer. Such my great surprise and mingled grief and joy, several brethren and acquaintances from Canada came and made themselves known to us; they were militia in arms, and were taken near Fort George. (Fort George at what is now Niagara-on-the-Lake.) Among these were Messrs. George Lawrence, leader at Four Mile Creek; William Clinton, from the head of the lake, and Russel Hawley, brother of David Hawley, of the Bay of Quinte. (Davis (not David) and Russell Hawley were the sons of Jeptha Hawley, U.E., of the village of Bath in Emestown Township.) Their captivity was an affliction which made friends more consoling. c) George Lawrence and How He Came to be Imprisoned.